Product prices and availability are accurate as of 2019-03-30 06:31:32 EDT and are subject to change. Any price and availability information displayed on http://www.amazon.com/ at the time of purchase will apply to the purchase of this product. In 2009 the United States International Trade Commission reported that 102 billion plastic bags are used annually in the United States alone. That's a big cost to you and the environment - but now, with this set of large, durable, eco-friendly shopping bags that will serve you and your family faithfully throughout many trips to the mall, the supermarket and beyond, you can do your bit to help the environment whilst making your weekly grocery shop a breeze! Big and Strong! Tested by the factory to 36kg (79lbs) and re-tested by our model with 56kg (123lbs) of cast iron (!) our 120gsm non-woven bags won't let you (or your shopping) down. Family Sized: Our bags are BIG - they'll swallow your weekly grocery shop with ease and the extra-long (66cm on the largest bag) rods mean they will sit comfortably across most American grocery carts. 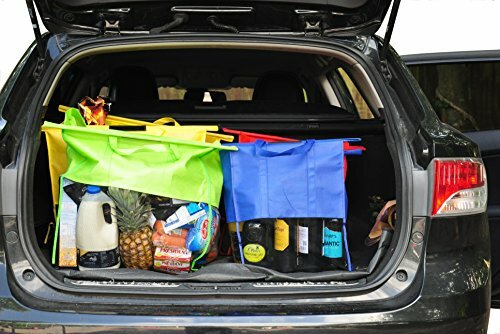 Comfortable: The fabric handles and the distribution of weight due to the strong rods, makes carrying heavy shopping a breeze; into the car, into the house - or even on a picnic. Saving the planet: Our bags are designed to last - they will comfortably replace 100s of standard polyethylene bags that you might otherwise use for your regular shop and then dispose of. That's a huge reduction in environmental impact. 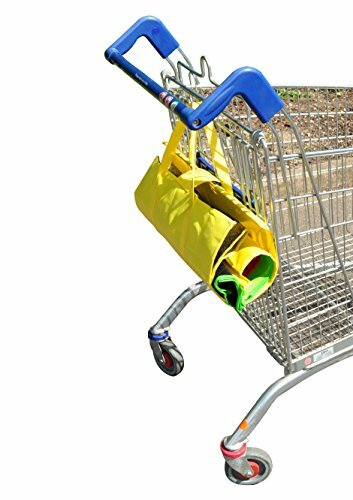 Each set contains 4 reusable shopping bags: 1 x XL (Yellow), 1 x Large (Green), 1 x Medium (Red), 1 x Small (Blue) The bags roll up quickly for easy storage and transportation, with the yellow (XL) bag acting as a wrap-around for the other bags, held in place by a Velcro strip. 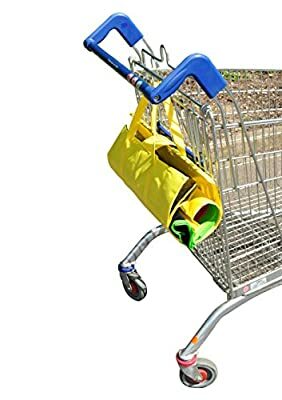 When at the checkout, simply unfurl the bags and arrange within the shopping cart, using the stiff rods within the bags to rest across the top. 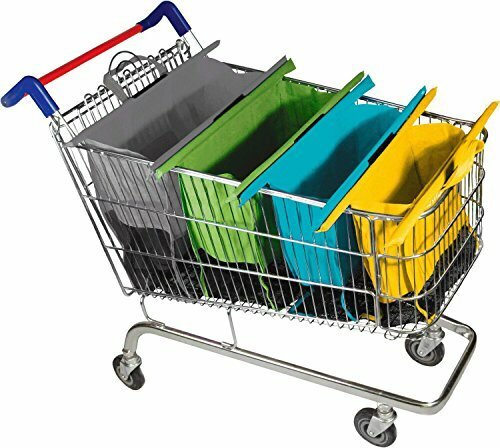 This provides a convenient system for organizing your shopping - perfect for speedy unpacking when you arrive back home. 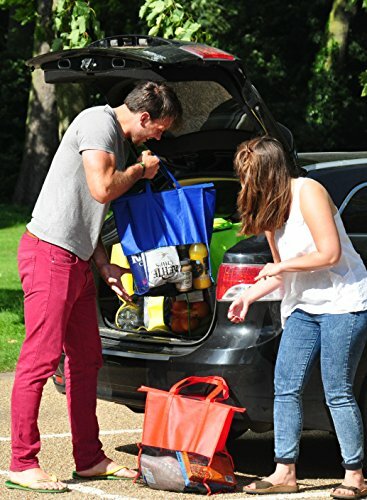 The bags then sit neatly in the boot of your car, or can be carried comfortably using the fabric handles.